If you don't have the good fortune of landing a franchise player, you need to keep up with the Joneses in a different way. I'll see your offence, and raised you some defence. Makes the five Calgary-Edmonton games this year some must-watch viewing. Hamonic had bad luck with injuries last year in particular, three separate ailments. Maybe the bad luck year is out of the way now. As for Smith, amazing how many people just assume he's a bad goalie because he was a goalie for Arizona. Man, he was single-handedly winning them games. Just looking for a couple years out of him and I think despite his age, there's still that much in the tank at least. So how do you see 5-7 filling out? Personally I expect BT to sign an NHL vet to fill one of those roles and the other 2 to be determined from the 3 almost ready NHLers'; Kulak, Andersson and Whetherspoon. We will get a better answer when BT announces who he will qualify. Also what are your thoughts on who would make the best back up for Smith? That's exactly what I'd expect. Somebody that can be paid a 5/6 salary but with ability to jump into the top 4 in the inevitable case of injuries. Bartkowski can be either up or down as he's on a two-way so that gives the prospects one job to shoot for, for sure, and maybe two if one pushes out Bartkowski (which I doubt, but at least the opportunity is there in front of them). I still expect Chad Johnson back in net. As long as he wants to come back. As for forwards, hasn't been my focus but I'd be surprised if Versteeg doesn't find his way back to Calgary. And Chiasson for that matter. But that's fodder for another article on another day. Cheers. I agree with everything you wrote. It's exciting to look at Calgary's potential top 4 for the next 10 years. I look at your time line, and notice it didn't include Kjilngton. If you include him into the mix, we have a lot of strength, speed, mobility, aND potential scoring! Hey Dan, Kylington is very much someone that could forge his way into the picture at some point. There's not a lot of opportunity and some pretty good guys in front of him but the door is very much open. If he can pull ahead of Andersson on the depth chart or be ready faster than Valimaki, there he is is. For now, not sure where/when he fits in. Isn't a lock to be an NHLer yet either. None of them are. But maybe it's a 5 that he ends up being. We'll see. The top 4 D look great. The thing that caught my attention was you saying Hamonic watching the back end while Brodie gets up in the play. Love that. But I would love it even more if TJ took the summer to work on just what in the hell he is doing with the puck once he gets across the opponents' blueline. He has many talents, but his instincts of what to do with the puck on offense seems to be lacking. 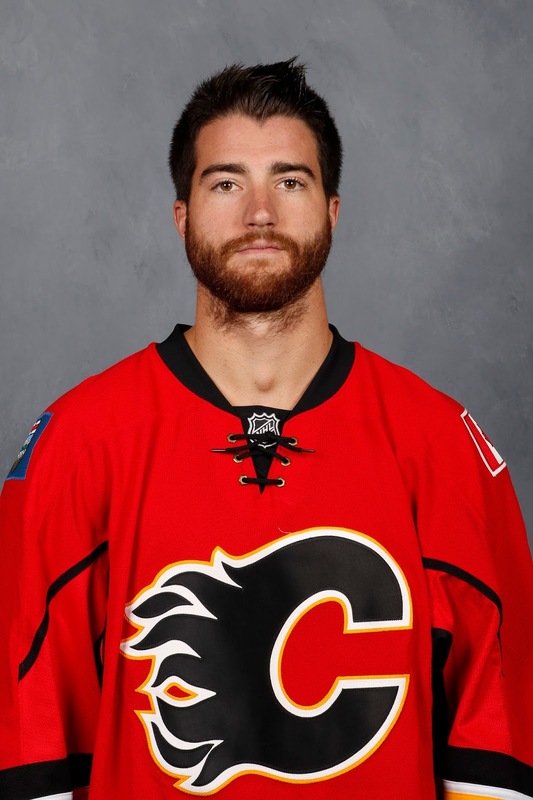 If he figured that out, he'd be competing with Hamilton for the top scoring D on the Flames I am sure. There was definitely some of that with Brodie last year and you wonder if a stable D partner that opens up his game, doesn't create more repetition and perhaps better playmaking will result? I mean he doesn't have Karlsson offensive talent, his speed and vision are his best assets, but you're right in that he could see his point totals pick up significantly if he polished that part of his game. His shot also isn't very dangerous so that will limit his goal scoring but his assist total could really climb this year. I think this it was a great move getting Hamonic, nobody seems to be crying about the typically same cost we paid (lost picks) to get Hamilton, he has grown into becoming an effective offensive core player. I think the same will be true once Hamonic starts showing fans his worth. The Flames new system of a five man unit attacking as a group is designed to include offensive impute from defensemen while being defensively responsible; Hamonic allow Brodie to jump into the play, elevating Brodies offensive game; much the same way Stone did last season when he came on board. 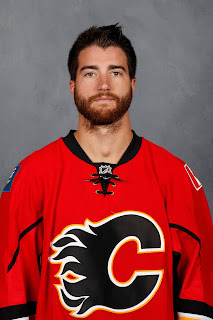 I would really like to see the Flames push hard to get Stone signed for the upcoming season. 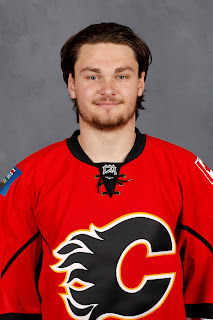 He would be a great defensively responsible hard hitting anchor for the 3rd pairing with a offensive defense man like Kulak as his partner (Bartkowski as the 7th D). I think up front Calgary has more offensive talent up front than Nashville did and look what they were able to do with defense combinations similar in design to what the Flames are doing here. I love your projections on how the top 4 Defence evolves. Forecasting way down the road is tricky, but that's half the fun for these debates and what i'm sure management ponders in their projections when making trades. Two questions for you as I try to figure out what our true timeline is for competing for the cup. 1) Going off your model and timeline, do you foresee Flames trading hamonic & hamilton in their FA years?- replenishing the roster and trying to extend our window through asset management, or do you keep them for respective cup runs in their walk years knowing you would need them to give you your best shot on a cup run, while knowing if they do walk the cap space is valuable in itself? I guess whether they are traded or play out their deals and walk, fair to say we only have a 3-4 year window starting this year to compete for the cup while we have them and Gio is in his prime too?